Halloween is coming, and so is Jack Skellington! 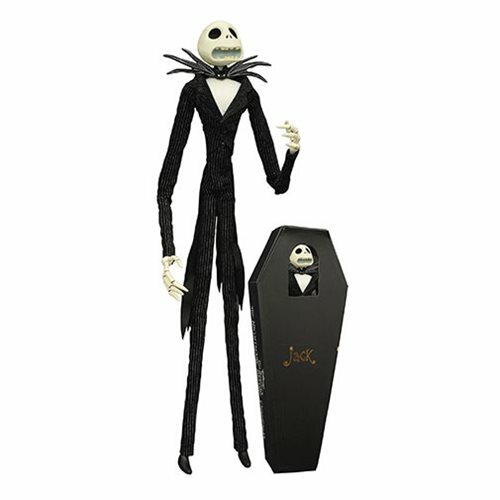 The star of Tim Burton's stop-motion masterpiece, The Nightmare Before Christmas, this 16-inch tall doll of Jack is a must for any home that embraces the spirit of Halloween. With a fully articulated body and a real cloth costume, this exacting re-creation of the classic Jack figure will rest comfortably in his 17-inch coffin-shaped window box until the times comes for him to rise once again! A Limited Edition of only 1993 pieces. Ages 8 and up.